Training records appear in the order they were completed, with the most recent completed appearing first in the list. Go to the employee profile in question. Go to the Training tab. 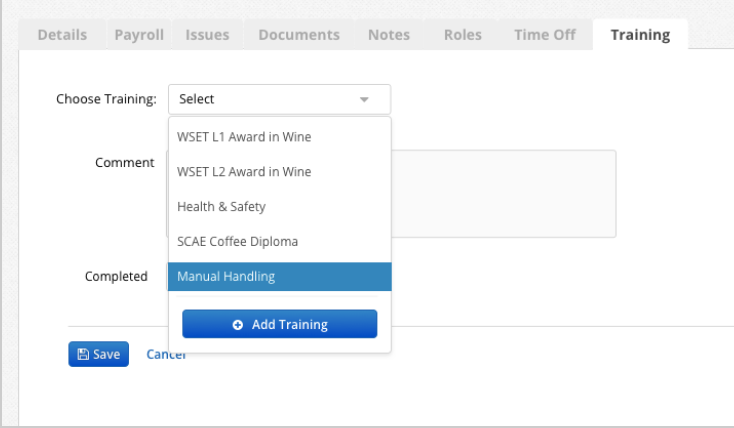 Training type is chosen from the dropdown which contains the description added in settings. Training type and date are required fields and will be outlined in red with the text “cannot be blank”, if left empty on save. Once the training type is chosen, the description, as defined in settings appears. 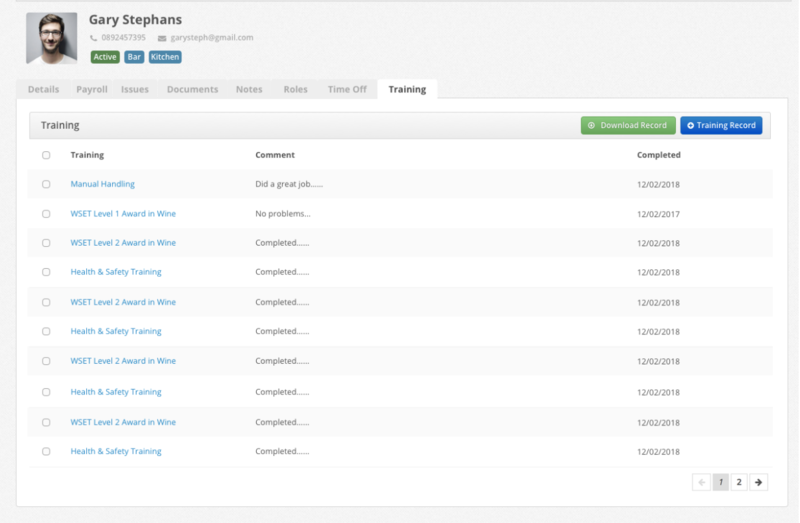 Existing training records can be edited or deleted. If it is edited, the changes will be saved with a timestamp eg. “last edited by example@bizimply.com 01/02/2018”. Deleting a record will delete the record permanently. Select the employees you wish to add the training to. 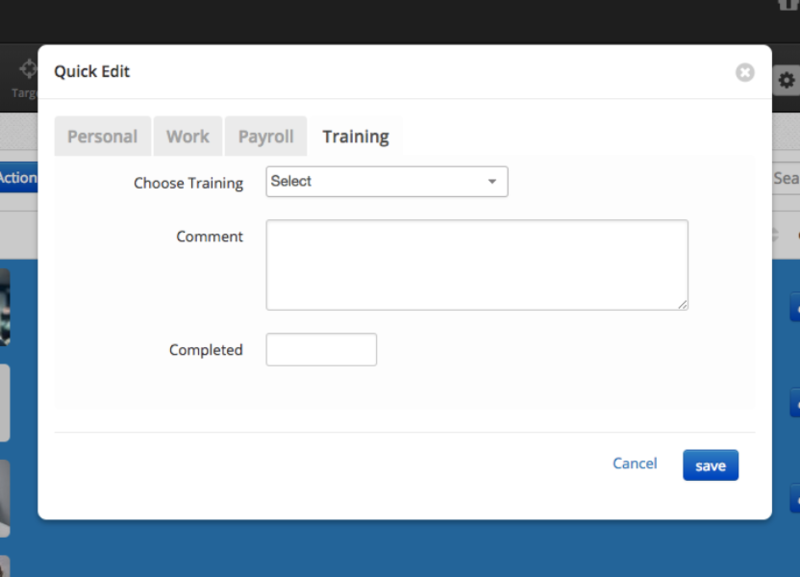 If you wish to add the training to all employee profiles, click the empty box to the left of Name. Click Actions > Quick Edit > Training. Choose the training and save.